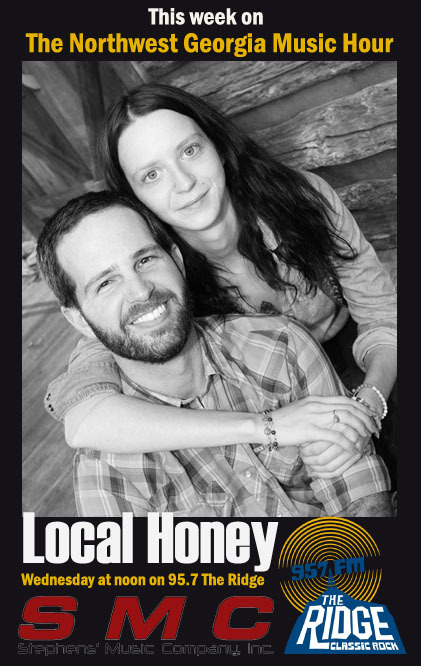 Local Honey on The NWGA Music Hour! It’s almost time for another episode of The Northwest Georgia Music Hour! This week we’ll be joined by Local Honey from Ellijay! Tune in Wednesday at noon to 95.7 The Ridge for some real local music. The NWGA Music Hour is brought to you by Stephens’ Music Company, Inc. Rome, GA. Listen to previous episodes on the MullinsMania Radio Archives. Thanks! Posted in Uncategorized | Comments Off on Local Honey on The NWGA Music Hour! 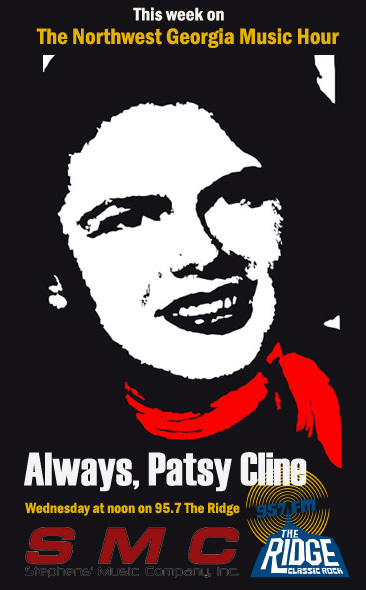 Always, Patsy Cline on The NWGA Music Hour! We’re looking forward to another exciting episode of The Northwest Georgia Music Hour! This week we’ll be joined by Susanna Brown and Mandy Maloney, stars of Rome Little Theatre’s upcoming production of Always, Patsy Cline. Tune in this Wednesday at noon to 95.7 The Ridge and enjoy. The NWGA Music Hour is sponsored by Stephens’ Music Company. Listen to previous episodes anytime on the MullinsMania Radio Archives. Thanks! Posted in Uncategorized | Comments Off on Always, Patsy Cline on The NWGA Music Hour! You are currently browsing the The Rumpus Compendium blog archives for April, 2015.